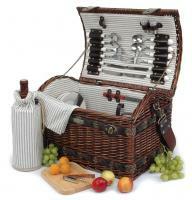 Willow picnic basket with deluxe for 4. With double lid open,cotton lining and made of willow seagrass and wood chip,this new shape basket is the ideal gift for any occasions. 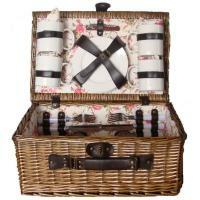 I struggled to find the perfect picnic basket for non wine drinkers and found it here. The lovely basket contained all the necessary ingredients and packaged them in secure, organized holders, so everything is protected. I especially liked the way the basket opened from the top under the handles and displayed the contents. I also liked the color coordinated liner, napkins and tablecloth, although I overlooked the tablecloth at first because it was so small and thin. Recipients were very pleased with their basket. PS It was pretty difficult to make the glasses fit into their leather holders. We imagine they will stretch with time, but we really had to work at it. Thank you. 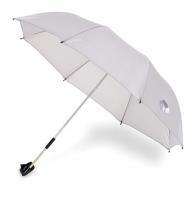 What a beautiful product and the person recieved loved it! I will buy from your site again. 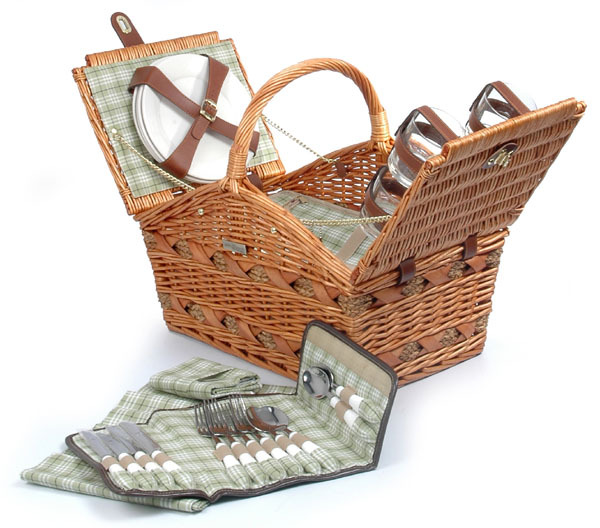 The picnic basket is very heavy, after purchasing I decided to replace the ceramic and glass with acrylic pieces in order to make it lighter to carry, however I cannot find any acrylic items that will fit in the holders. This purchase was a waste of time and money for me. • Shipping Carton Size: 20"x14"x17"